Blessed Hope Community Church is a contemporary, non-denominational Christian church. Our church services are held Sundays 9:30am and 10:45am at the newly renovated AMC Theaters located at 2190 Empire Blvd. in Webster, NY 14580 (theater #12). At "Church at the Movies," you'll experience authentic caring people, exciting upbeat music, messages that are relevant to your life and even movie clips on the big screen! AMC Theaters provides comfortable seating, plenty of parking, handicap access and great acoustics which are perfect for our contemporary style services. At Blessed Hope Community Church, you'll find people just like you to encourage you in your faith journey. Our services are modern, contemporary, casual and relaxed. Grab your coffee at the door and bring it right to your power-reclining chair. If you are looking for a church in the Webster or Rochester, NY area, we invite you to come and join us this Sunday! Your search for "Churches in Webster NY" ends here. At BHCC, you'll experience authentic caring people, exciting upbeat music, messages that are relevant to your life and even movie clips on the big screen! AMC Theaters provides comfortable seating, plenty of parking, handicap access and great acoustics which are perfect for our contemporary style services. If you are in or near Penfield, Irondequoit, or Ontario, we invite you to check out one of our service. Join us this Easter 9:30am or 10:45am at AMC Theaters in Webster. 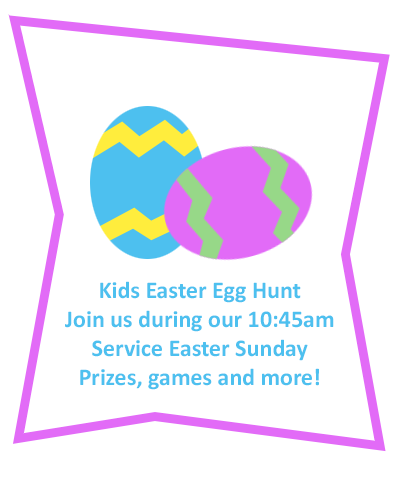 Kids Ministry is currently available only at our 10:45am service. Kids are welcome to stay with their parents during the 9:30am service.